Data centers have grown from a seldom-credited, behind-the-scenes player to a leading role within the business, responsible for the speed and scale that companies rely on to remain competitive in today’s world. But while the responsibilities of data centers have evolved, the way they are designed has remained largely unchanged – but why? Continue reading to learn why data center design, though often overlooked, can play a significant part in the success – and potential longevity – of your business’s data center. 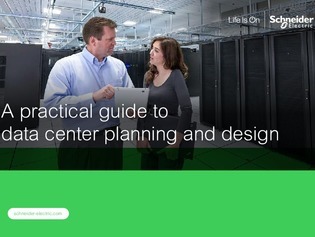 Plus, find out how reference designs can offer a simplified way to map out a concrete plan for your data center’s future.